AISI 1045 steel is a medium tensile steel supplied as forged or normalized condition. It has a tensile strength of 570 – 700 MPa and Brinell hardness range 170 to 210HB.AISI 1045 steel offers good strength, toughness,wear resistance and impact properties in either the normalized or hot rolled condition.AISI 1045 steel has a low through-hardening capability with only sections of size around 60 mm being recommended as suitable for tempering and through-hardening. 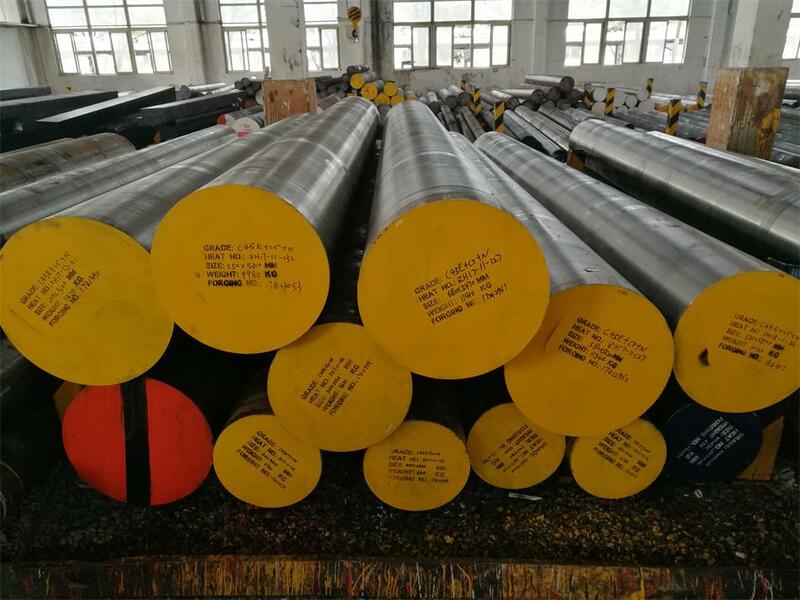 However, it can be efficiently flame or induction hardened in the normalized or hot rolled condition to obtain typical surface hardness up to HRC 58. nitriding is not recommended due to lack of alloy elements.This steel can be readily welded and machined providing correct procedures are followed. Forging temperature: 1100 oC – 1200 oC,hold enough time for the steel to be thoroughly heated.Don’t forge below temperature 850°C.AISI 1045 steel should be cooled as slowly as possible in still air or in sand after forged. Flame and Induction Hardening:830°C – 860°C,quick quench in oil or water.Temper at 150°C – 200°C will reduce stresses in the case with minimal effect on its hardness. 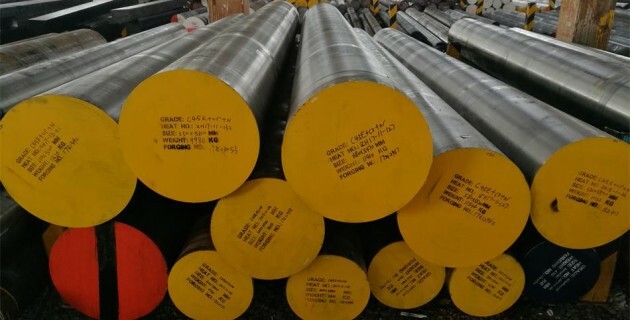 AISI 1045 steel has good machinability in normalized as well as the hot rolled condition. Operations such as tapping, milling, broaching, drilling, turning and sawing can be easily performed on the steel using suitable feeds, tool type and speeds as per the recommendations given by the machine manufacturers. Axles, bolts, connecting rods, studs, rams, pins,rolls, spindles, ratchets, crankshafts, torsion bars,sockets, worms, light gears, guide rods etc.